Your Recommendations can be integrated on any website as pop-ups or embedded interactive views, identical to how it appears in your guideline. This is achived by using a simple html code available from all Recommendations. 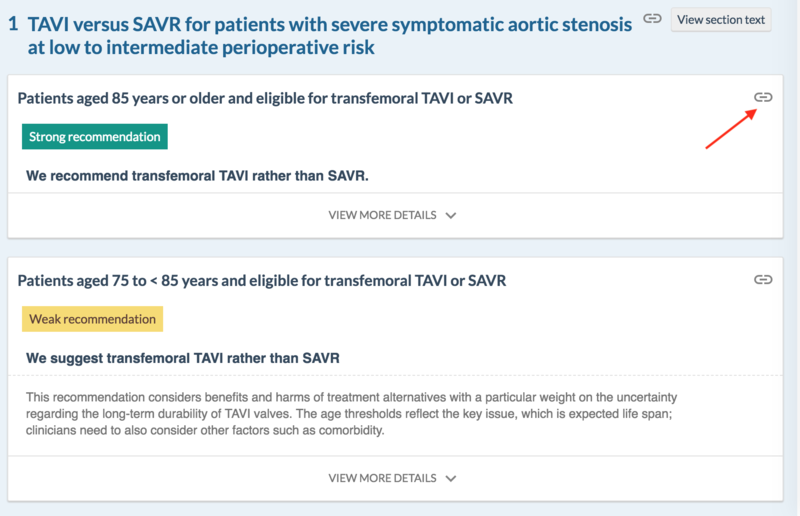 The widget enables readers to view an interactive, multilayered version of the Recommendation, including Summary of finding tables, decision aids and references. 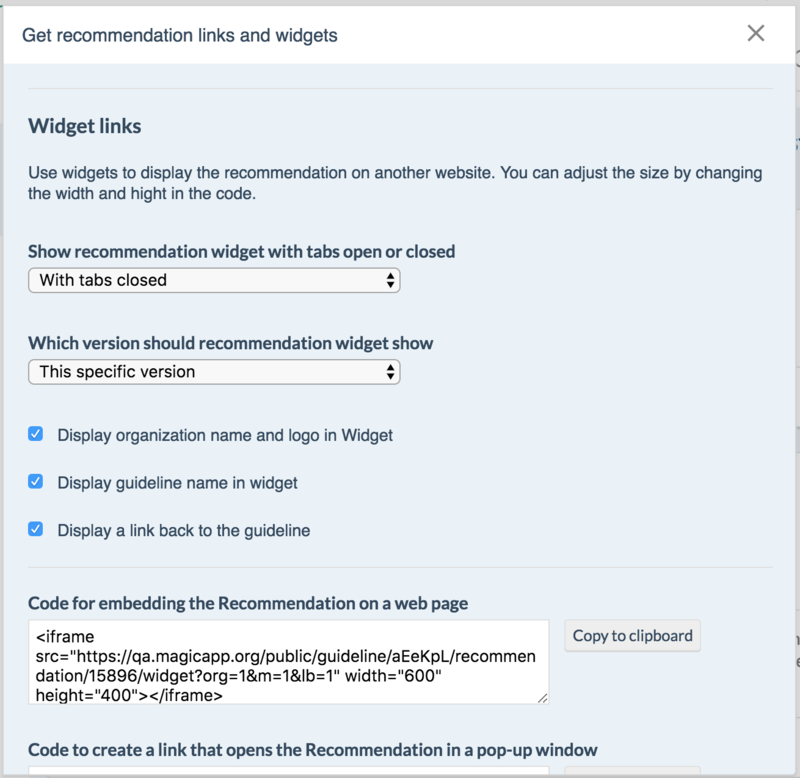 The Recommendation widgets can show user which guideline the recommendation belongs to, and the organization that published it. It also have an optional link-back function, to take users directly back to the same recommendation in the full online guideline. This feature can be used in online texts referencing the recommendation, giving the readers direct access to the content without having to leave the place they read. It can also be used by groups publishing guidelines or content from guidelines in their own platforms, allowing users to access interactive recommendations directly on their own page without having to build the feature themselves. The size of the widgets are adjustable, and you can choose to display always the most recent version, or one specific version of the evidence. The widgets can be shown as open with any of underlying tabs showing (e.g Key information, Decision aids or Practical information), or closed, to save space if the recommendation is embedded.